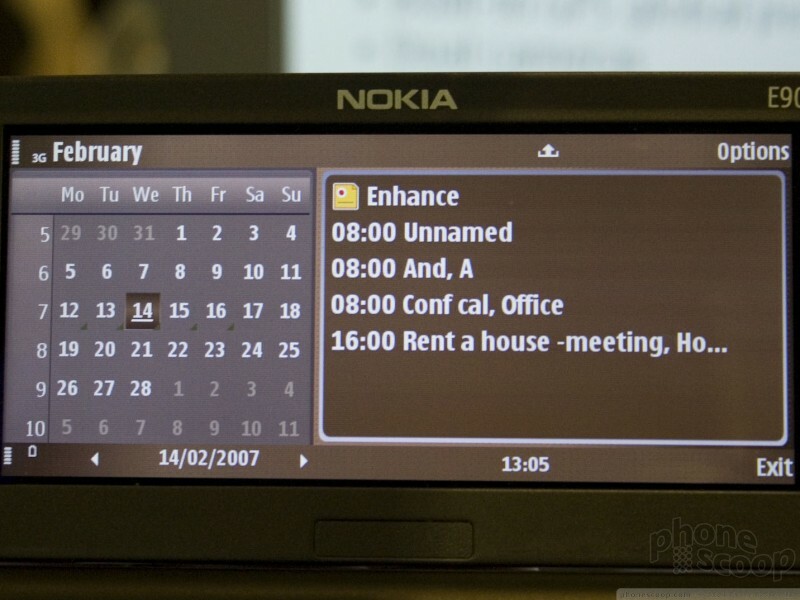 Although pictures of Nokia's new Eseries phones had all leaked before the company announced their new line on Monday, they still held a few surprises up their sleeve - primarily the power that each packed into a smaller than expected form. These phones all pack quad-band GSM/EDGE, HSDPA and Wi-Fi and more into smaller bodies than you might expect. 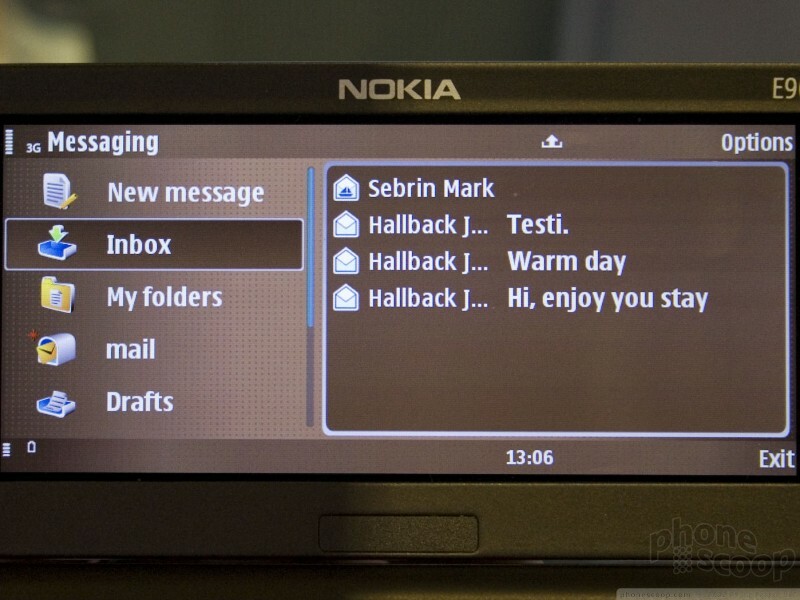 In fact, it seems slimming down and "sexing up" the previous E series line was Nokia's main goal. 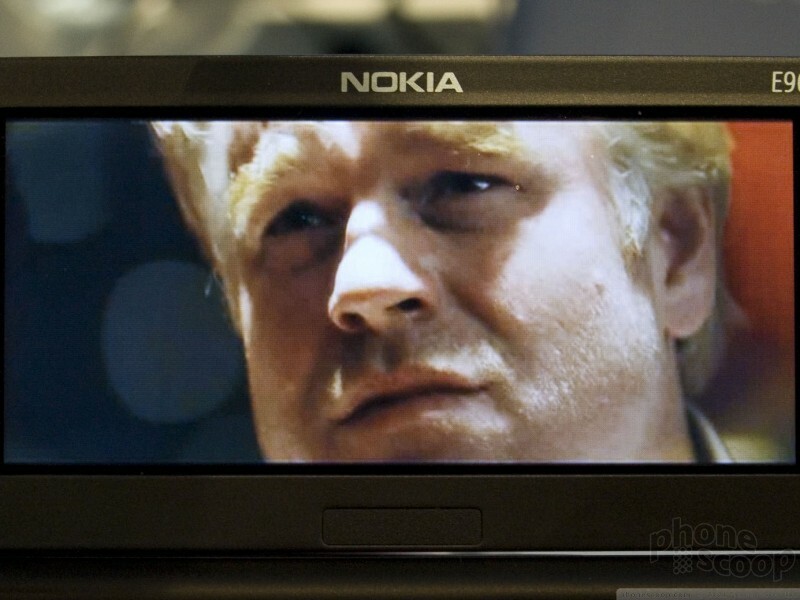 No longer is this series going to be known for boxy grey phones. 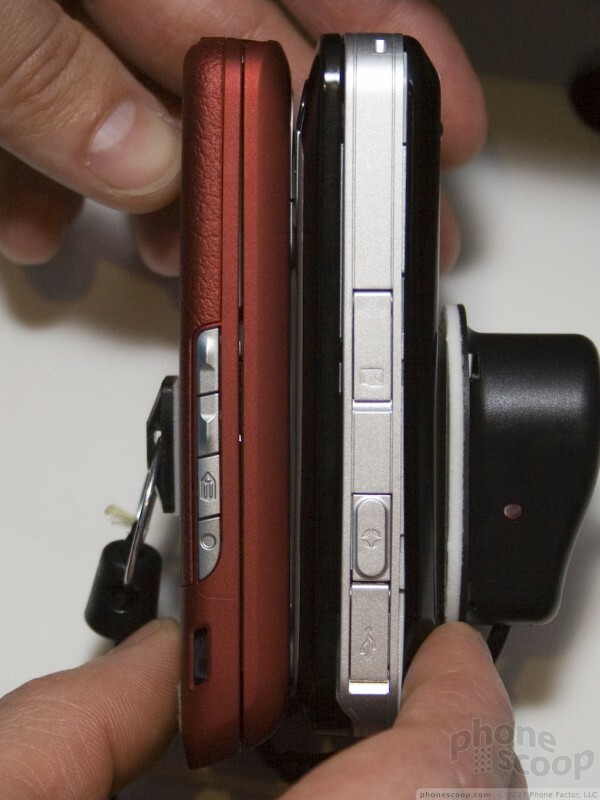 The E65 is positively curvy, the E61i is sleek, and all 3 will come in 2 colors - a deep red and a nearly black brown "mocha." 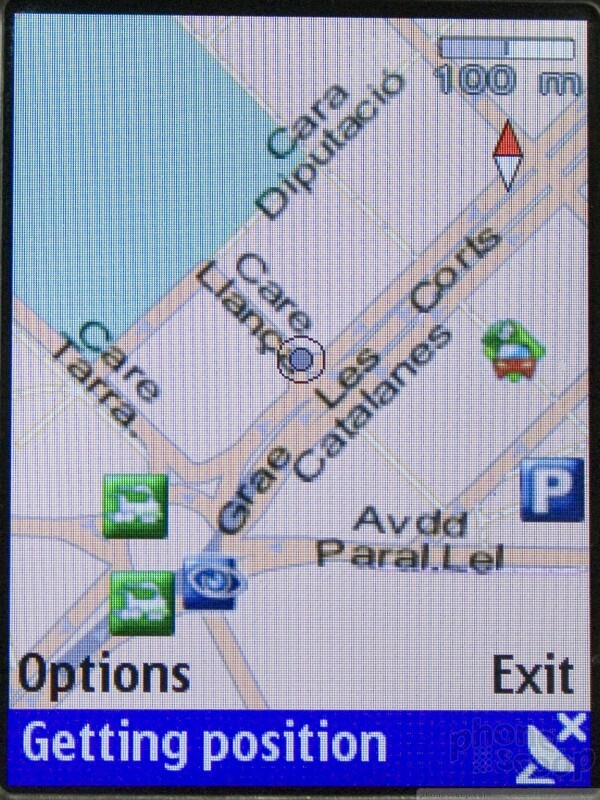 In addition to the colors and features, these phones have a new look and feel to their navigation keys in common. The joysticks and D-pads of past models have been replaced by a new, well, "D-ring." 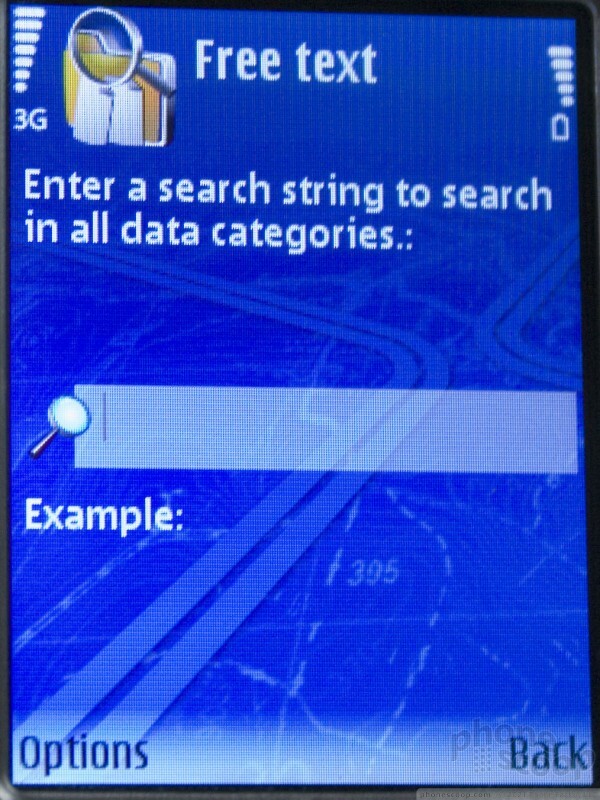 The center is a large square select button, and around it that is a raised, beveled square ring that controls the direction. When trying these out on all the demo models, they worked well once they got broken in. 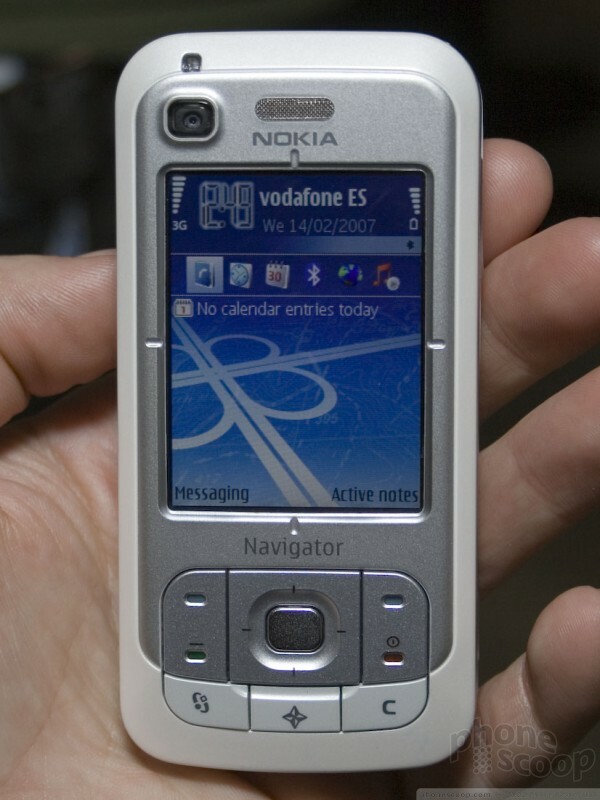 When we tried a fresh E61i, the D-ring was a bit hard to press, but after a few hours of use, all the phones were equally easy to navigate around. Your thumb sits nicely in the well of the ring and you can roll it around with very little effort. 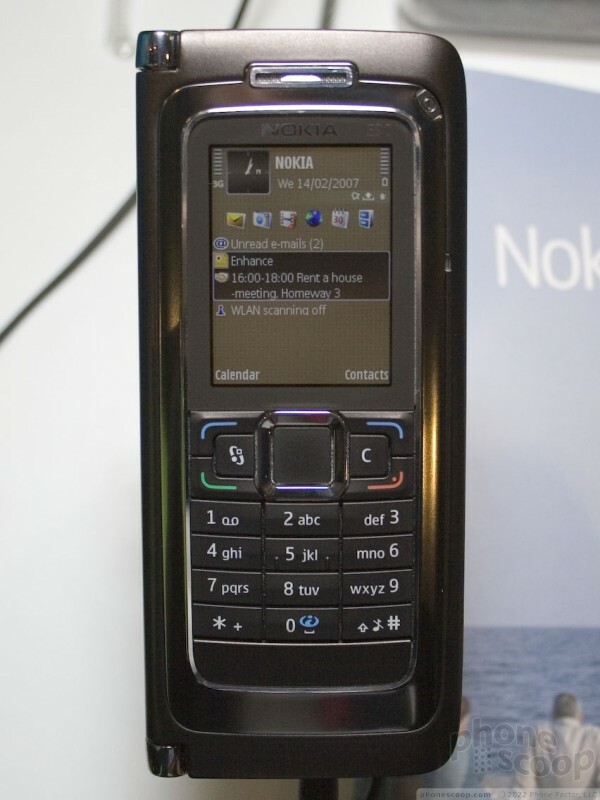 The E65 blurs the line between a business and a fashion phone. 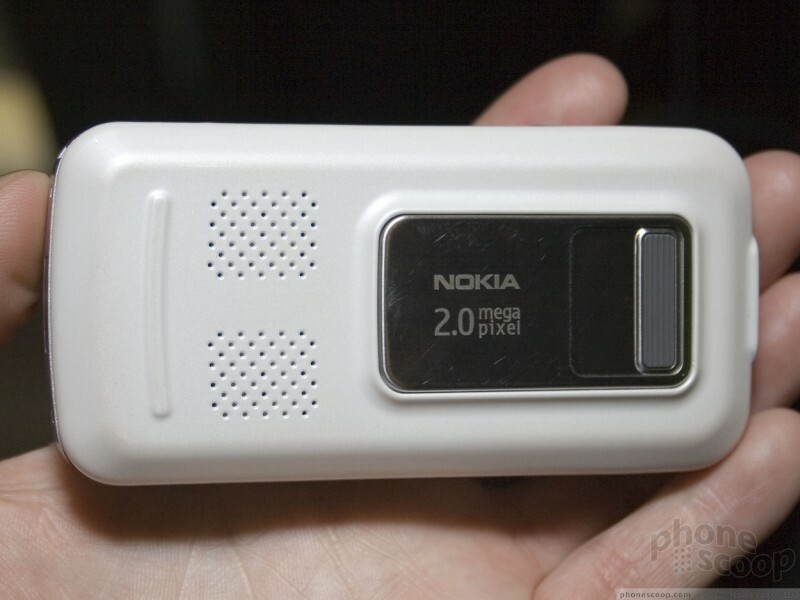 Some people need a little power than the average user - maybe for push email, VOIP calls, or some other application but don't want a big, blocky corporate phone. 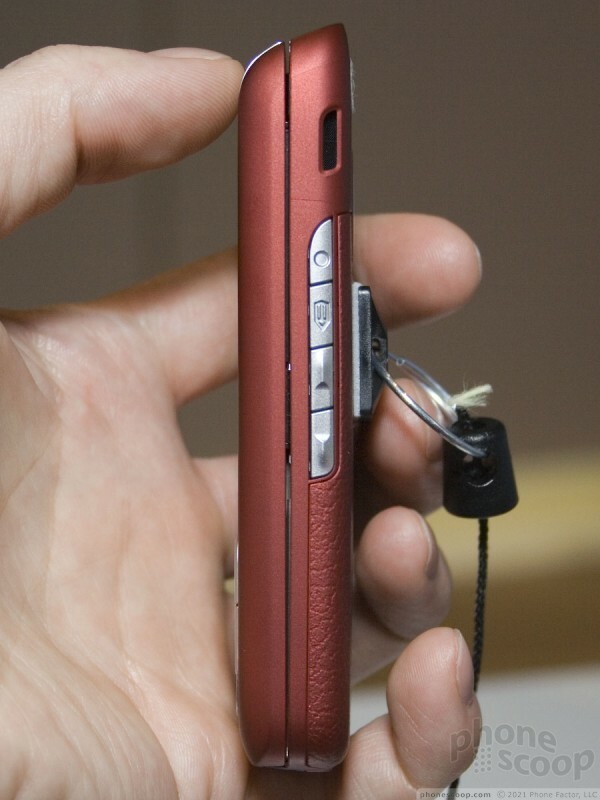 The E65 suits them with a small, slim slider. 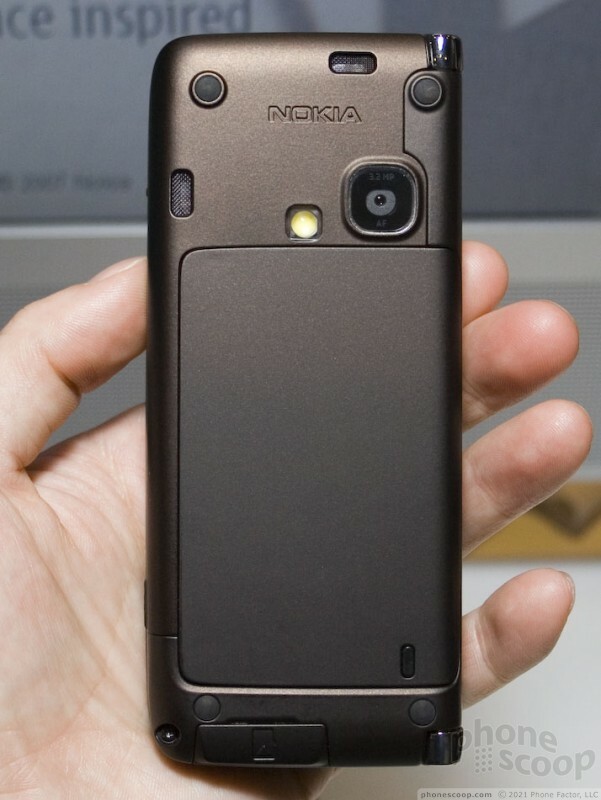 The rounded sides and an angled top let the phone rest gently in your hand; and the soft-touch finish of the mocha or red portions makes the small phone even more comfortable. It also has one of the smoothest spring-assist slides we have felt. 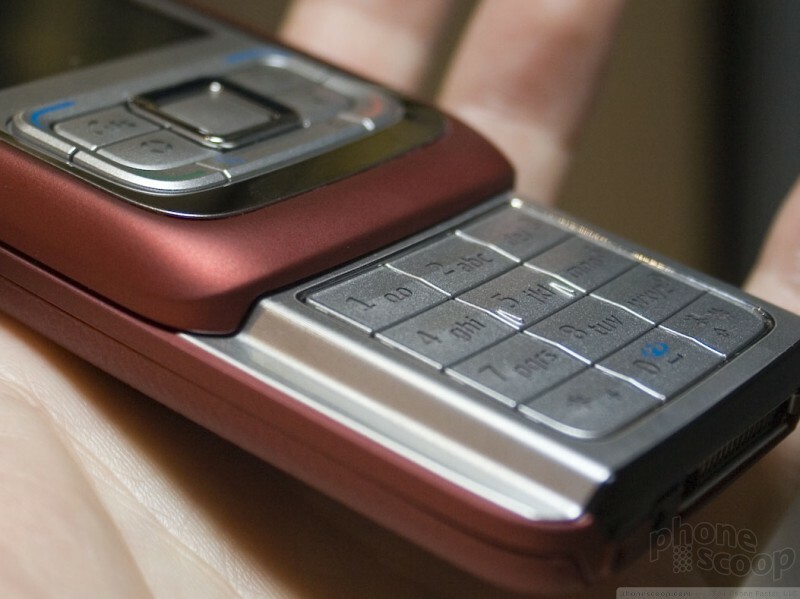 You can either open it from the bottom or just by pushing up on the side, and after some slight resistance meant to keep the phone closed, the E65 glides right up. 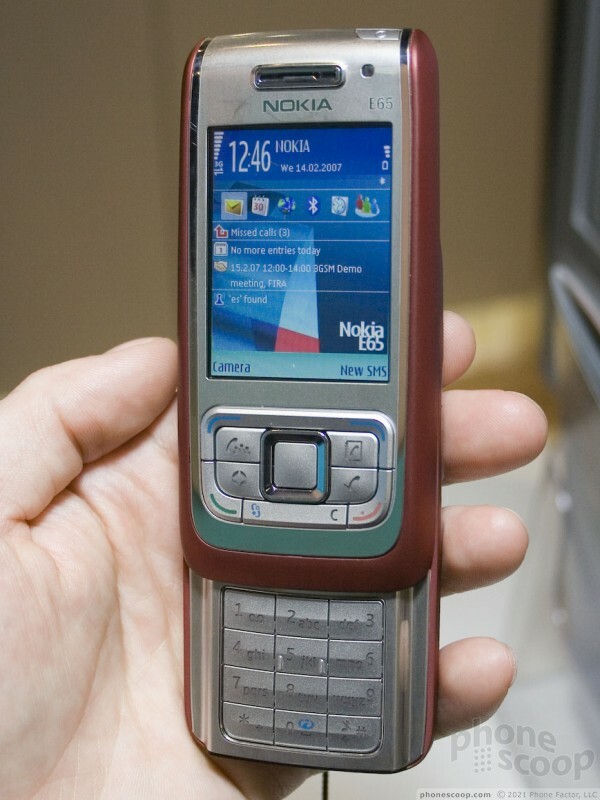 I'm sure opening and closing the E65 will be as tactility addictive as the Helio Sidekick. 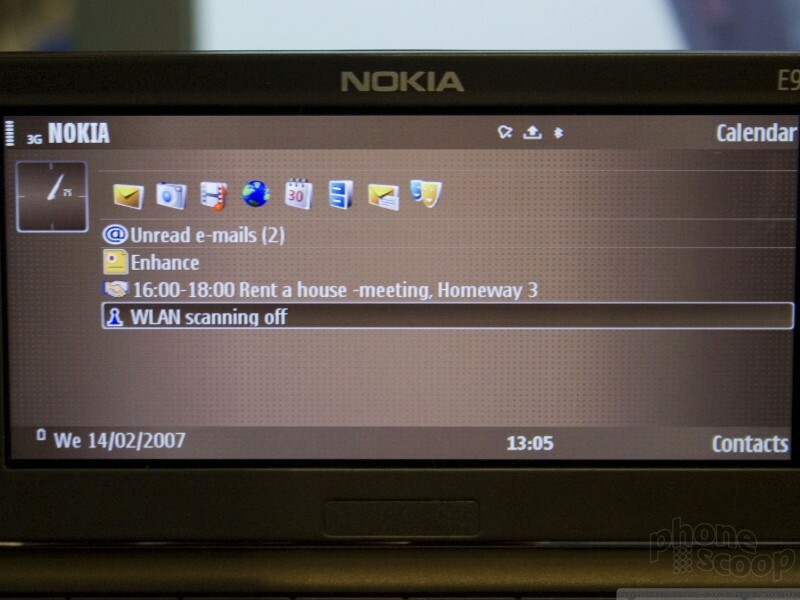 The E65 has a couple of call-specific hard keys, one for muting the call (in S60 the right soft-key is always speakerphone now) and another for setting up a conference call. 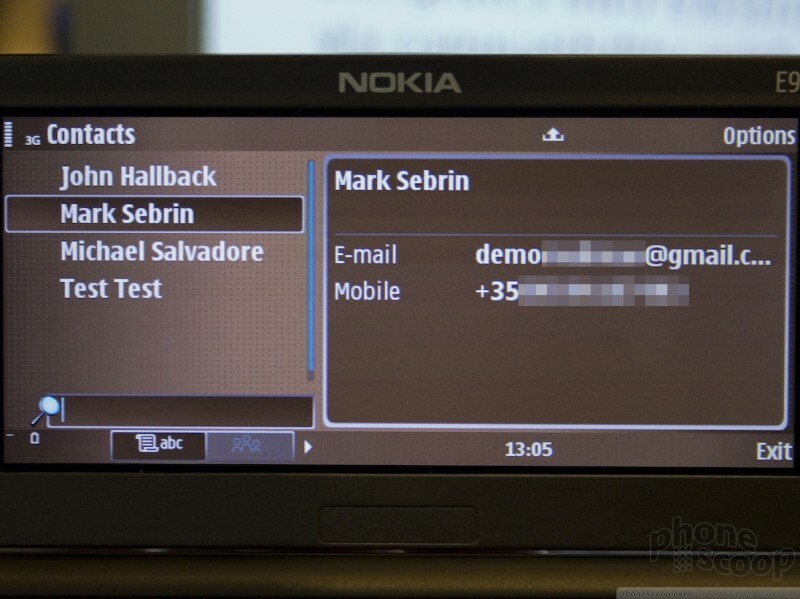 This new conference call interface works like addressing an SMS, which is much easier that the typical conference setup. 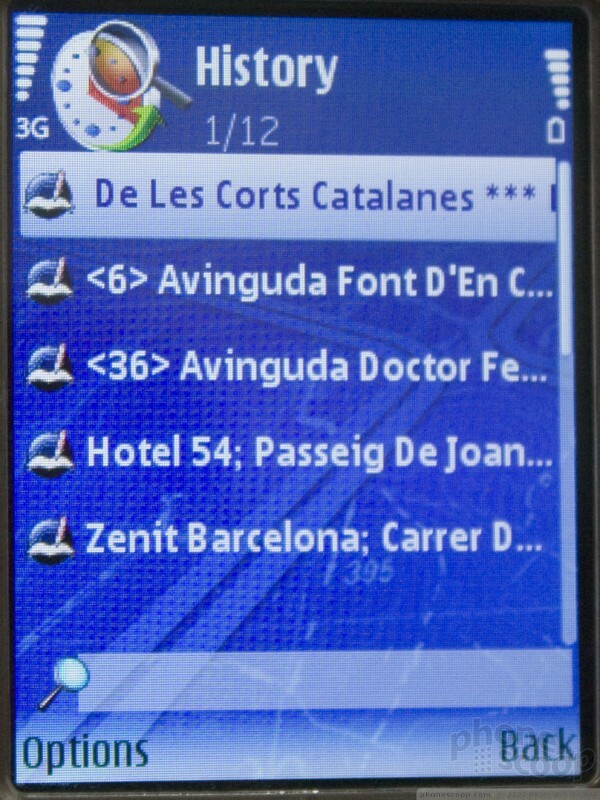 You simply tick off a few people on your contacts list and the phone takes care of conferencing them all in. While all the phones feel physically solid, the E65 matches it with solid software that's fast and clearly ready for prime time. This makes sense considering it's expected out in just a few weeks. 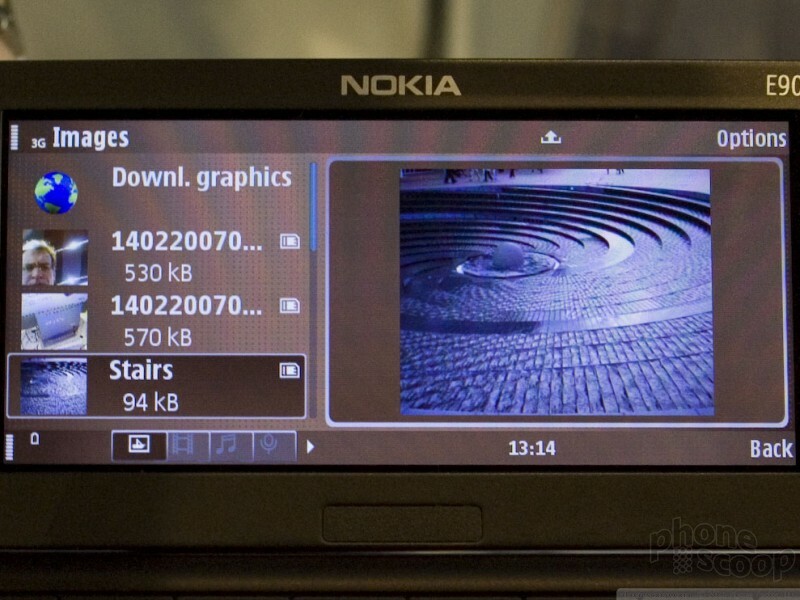 The E61i was a close second, but could still use a few tweaks like a speedier camera start-up. 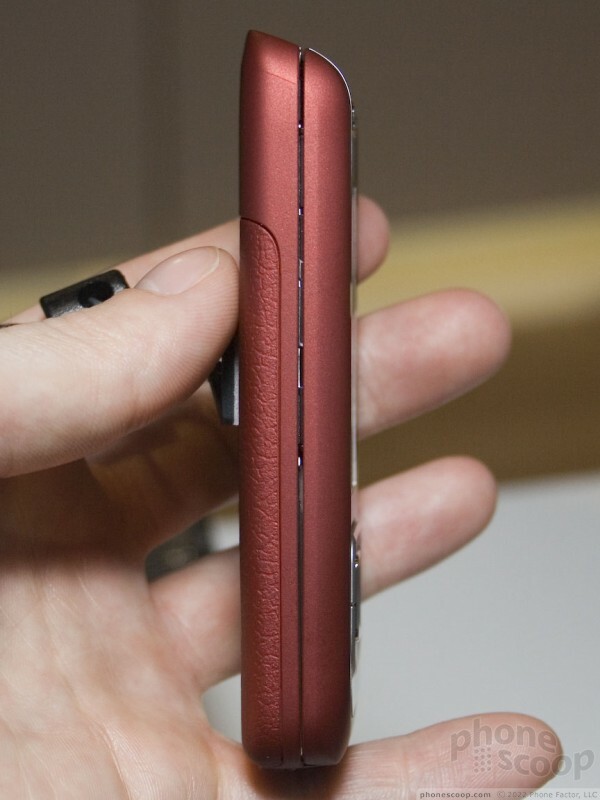 The sleek colored sides and brushed metal front and back accentuate the E61i's new thinner form factor. 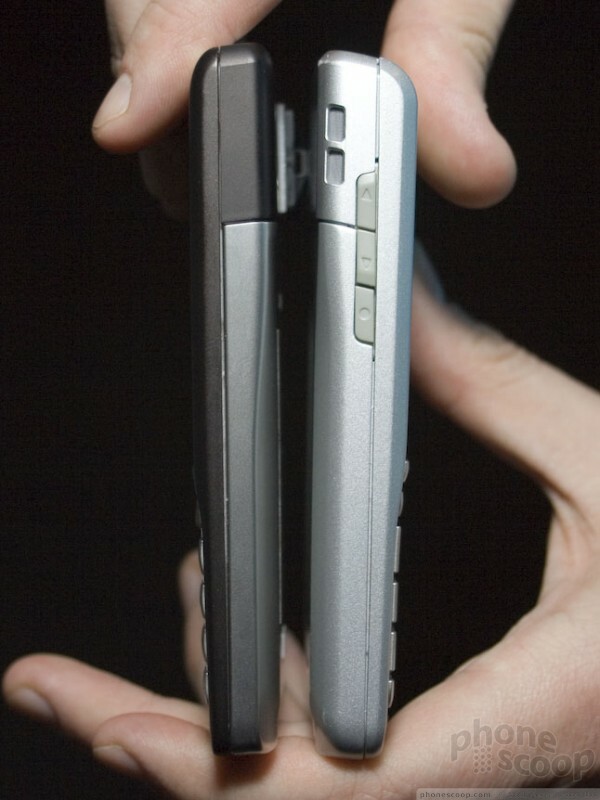 Though the top is slightly thicker than the bottom, the difference is not nearly as great as on the E61. Even though the shape has changed only slightly, the new model feels very different - not just how it feels in the hand, but also how the keys feel. 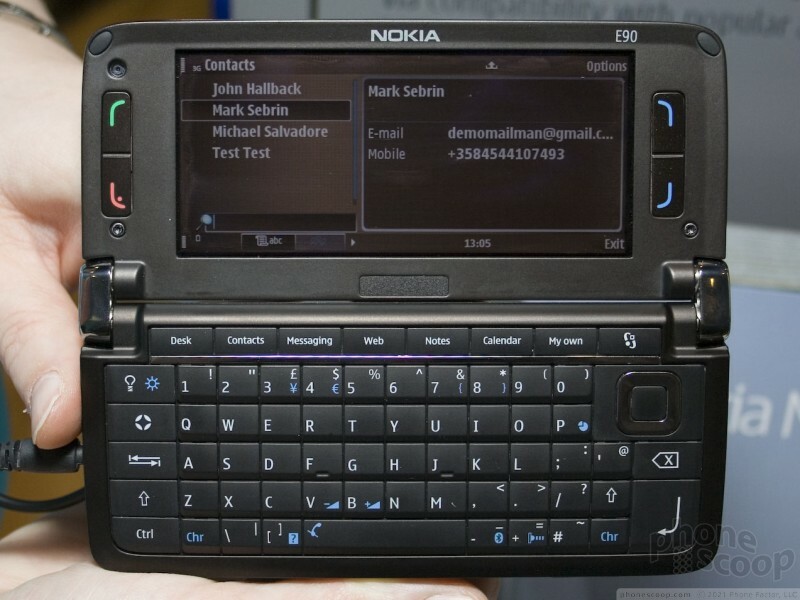 The QWERTY keypad of the E61i quickly became a favorite among many at the show. 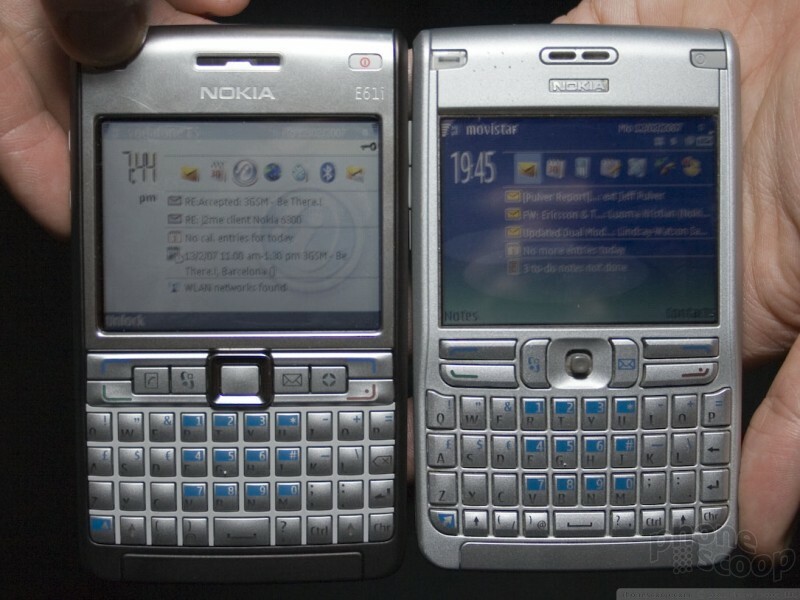 The E61 had a good keypad layout, but many disliked the feel of the keys. The new version has the same layout but has a completely different feel. When you press a key, it offers a slight bit of resistance, after which it goes in and pops right back up. 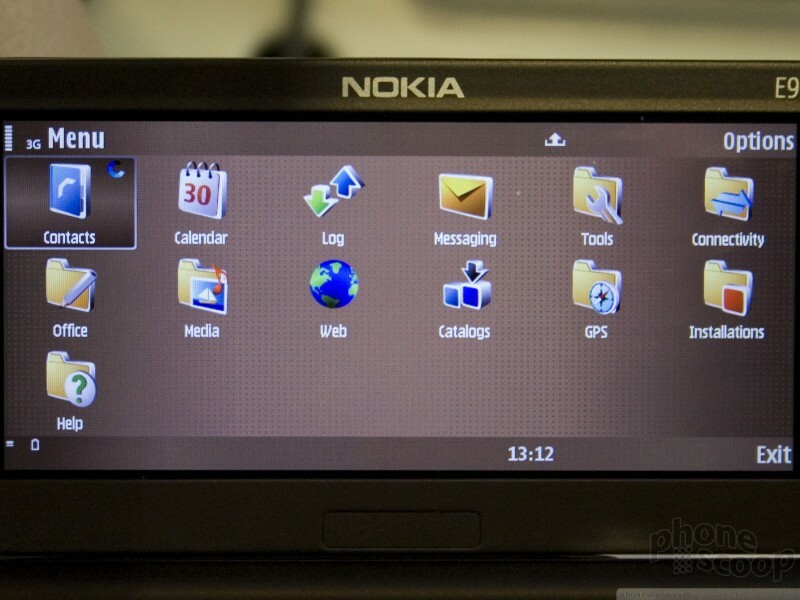 It is springy and responsive, but not hard to press or spongy. 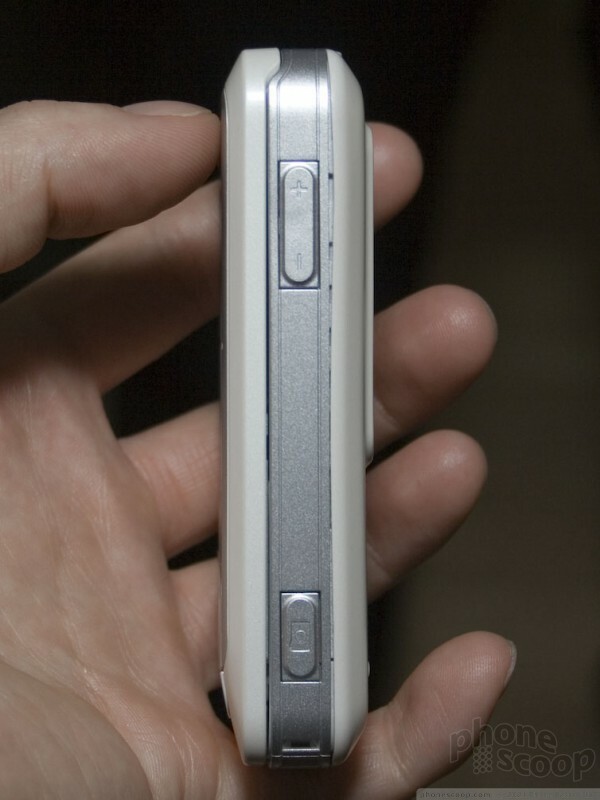 The keyboard of the E90, at least the QWERTY keyboard, was more hotly debated. Eric thought it felt like typing on piece of granite, though he had no problem with it once he realized how little response to expect from it. Rich had no complaints. He found it easy to type on straight away and did not think it felt odd at all. Other bloggers we spoke to were split as well, though a slight majority agreed with Eric. Everyone agreed the external keypad was large and easy to use. 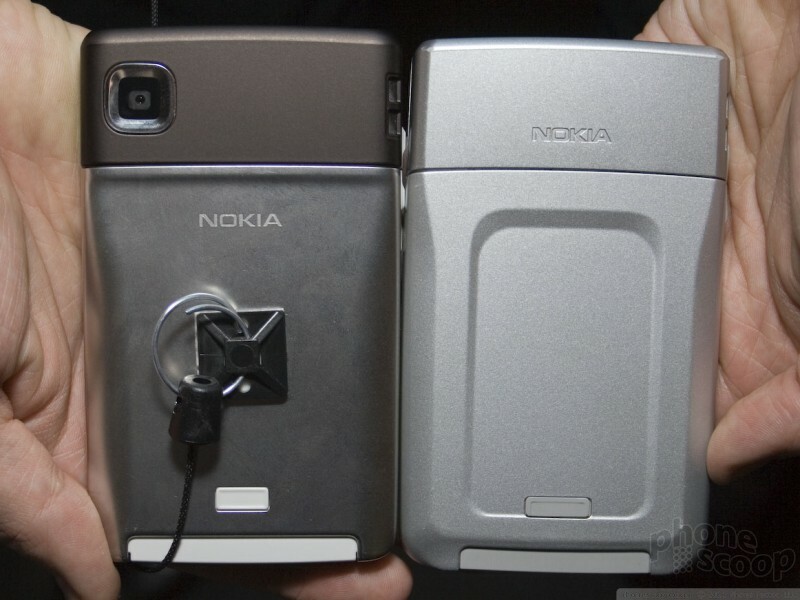 Holding the E90 in your hand, it's hard to believe that it's smaller than the Sidekick 3 in every dimension. 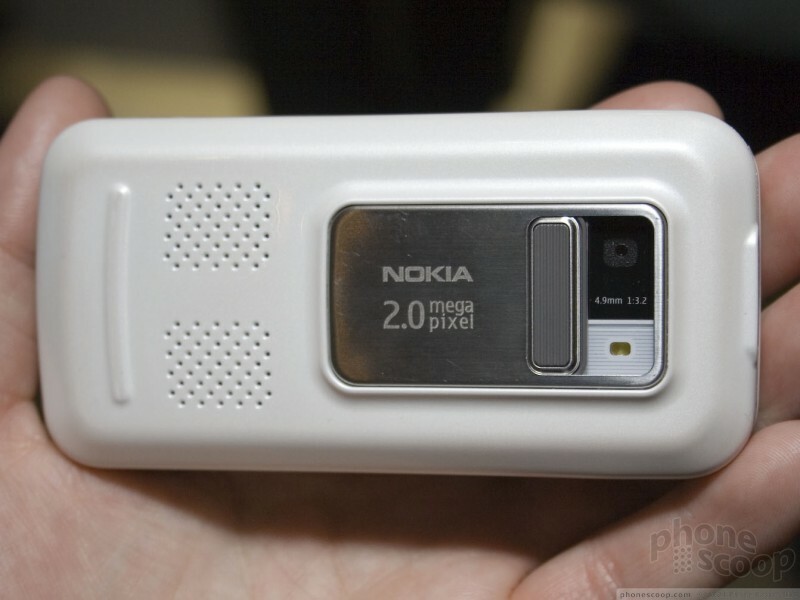 It still has that brick feel that past communicators had, though it's more like a small brick than a cinder block. With the large, flat front the E90 is not going to be comfortable to hold up to your ear and talk into for a long time. 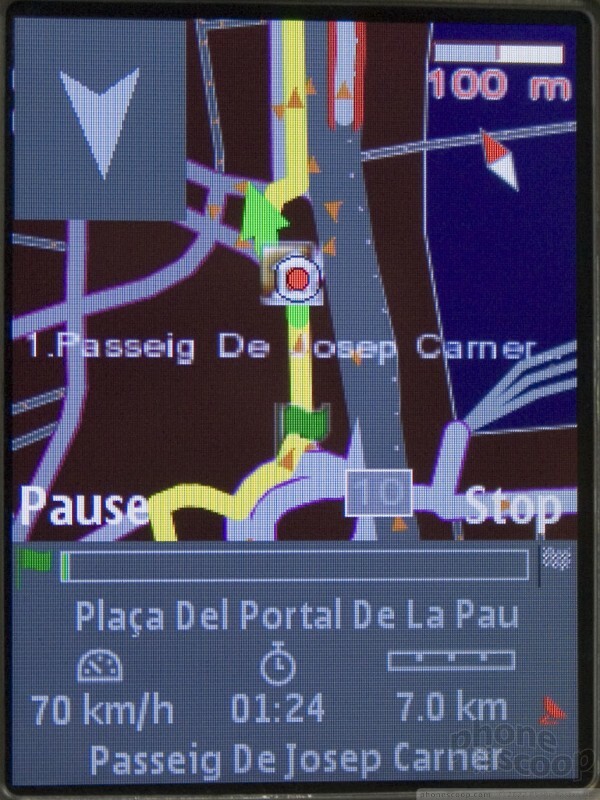 But that's clearly not what it's meant for, even if it does have a full S60 interface on the outside. 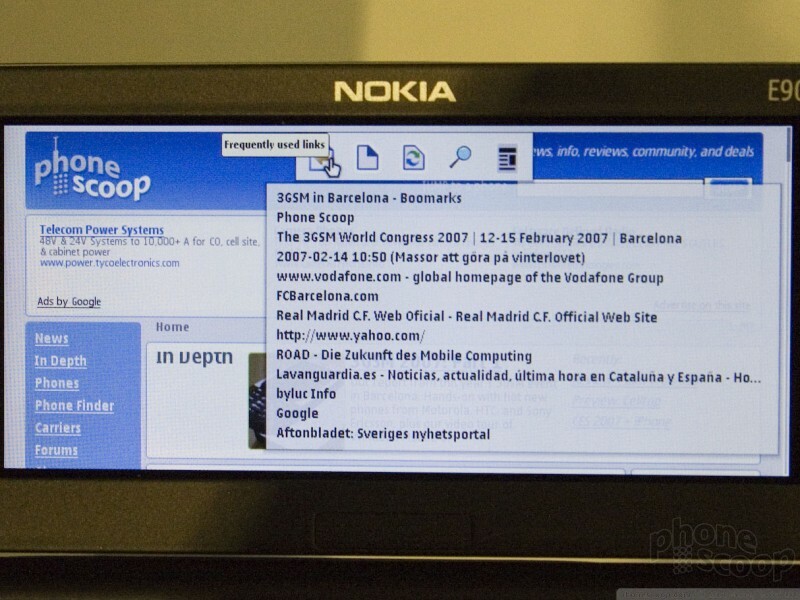 Opening the E90 to use the keyboard and large screen is easy, but interesting none the less. 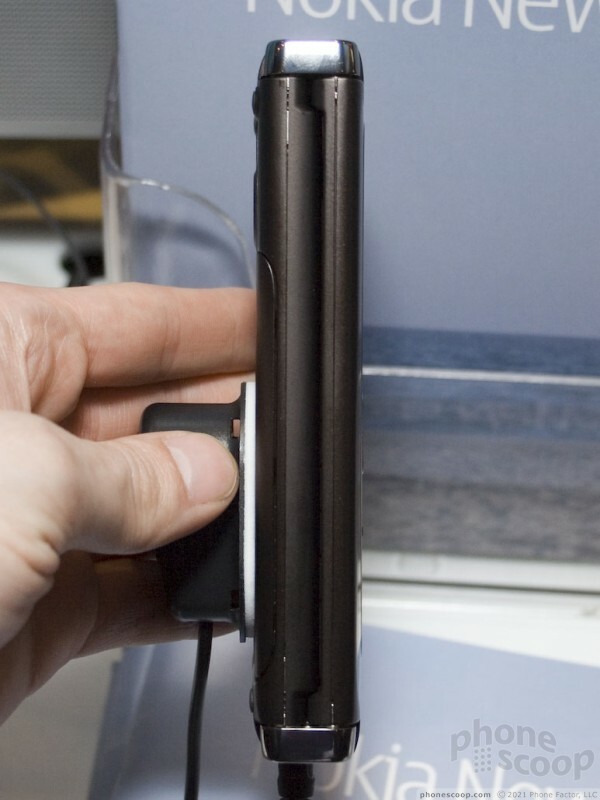 There is a two stage hinge, one stage that opens fully to put the screen at 90 degrees to the keyboard and a second stage that is adjustable from 90 to 180 degrees. 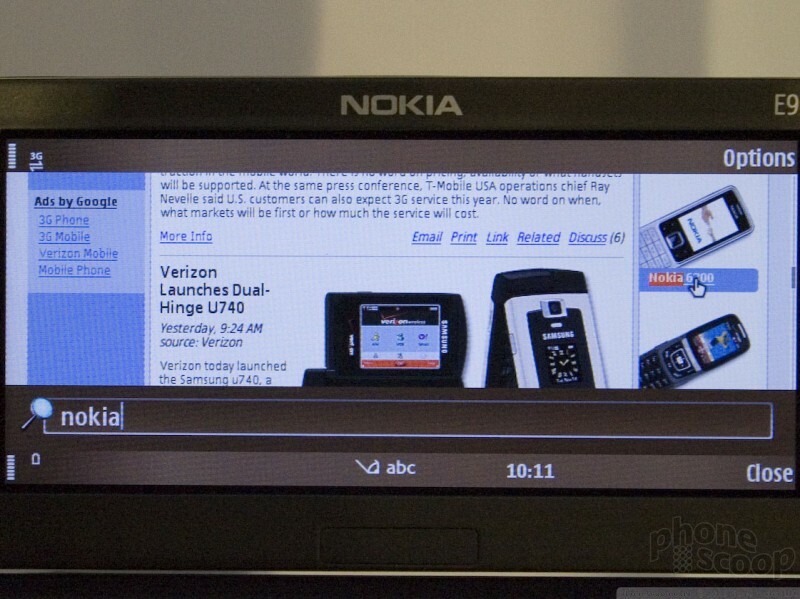 The inside screen is so large, you can view most websites in their normal desktop layout without having to scroll left and right. 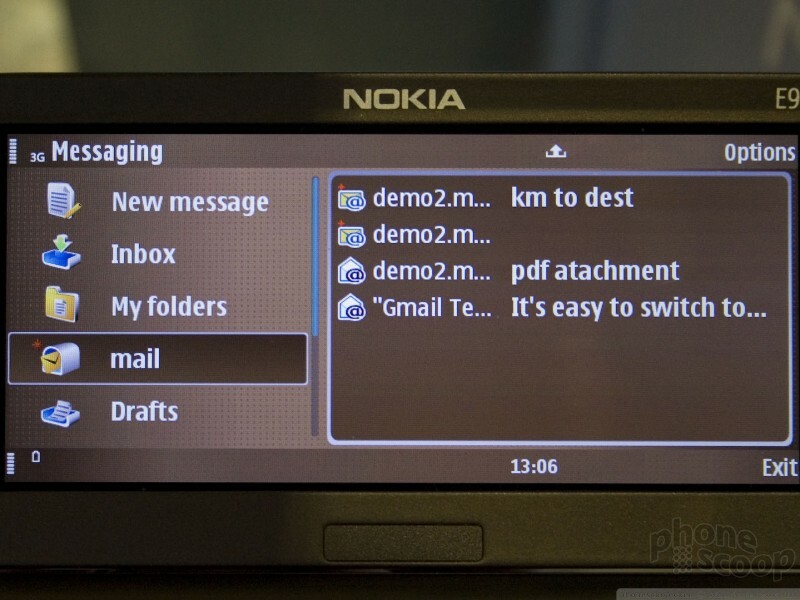 Although the E90's software was less stable than the other two new Eseries phones, it was still workable and we were able to try everything from the auto-focus camera to email to the media player. 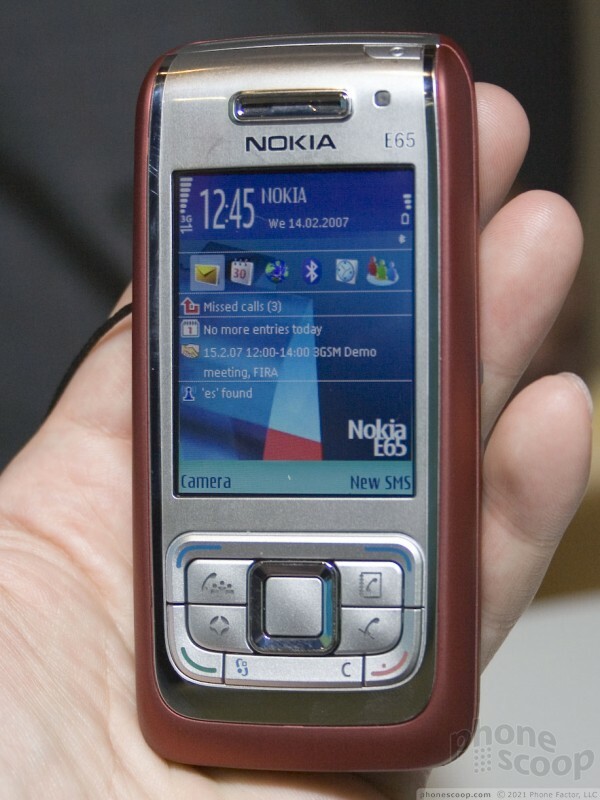 The 6110 is a slightly thicker and blockier slider than the E65, which is to be expected considering it's a not a high-end phone like the Eseries and it has GPS. 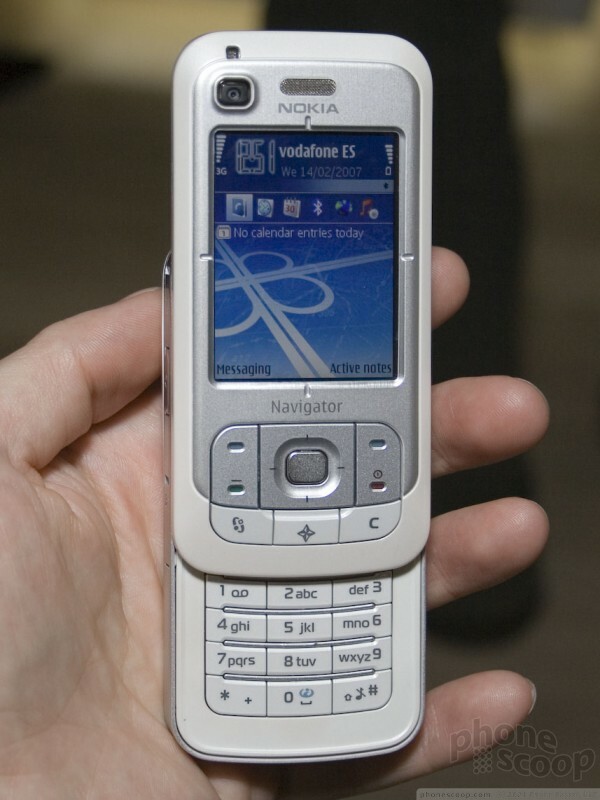 It is not unwieldy, it's just not sleek - maybe it just doesn't have the E65's curves. 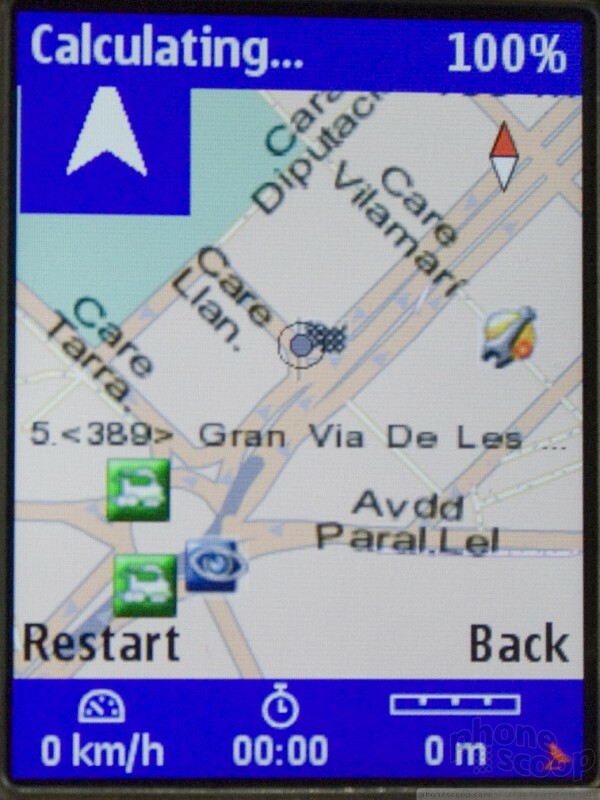 But it packs a solid feel and a great GPS experience. 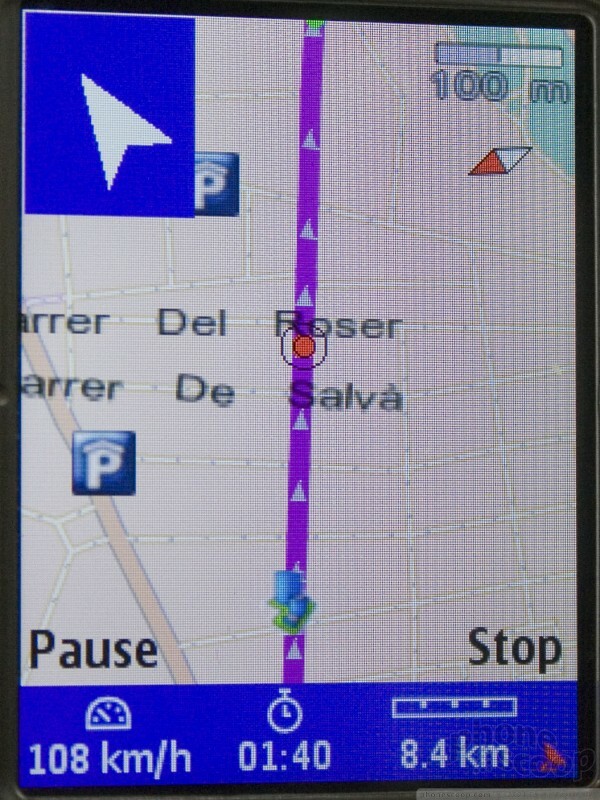 Instead of Nokia Maps, the 6110 features Nokia Navigator, which includes many of the features that must be purchased as add ons to Maps like turn by turn directions and city guides. 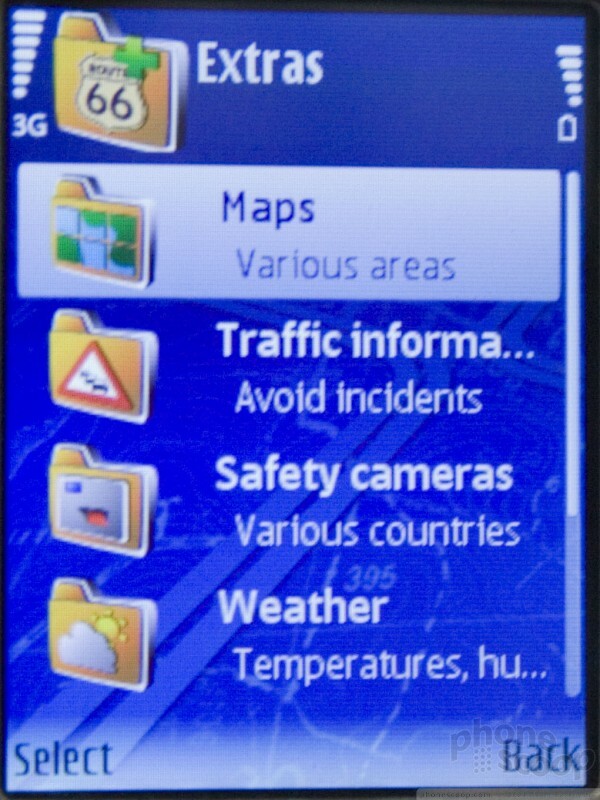 But Navigator still has additional services you can subscribe to like live traffic and weather updates. 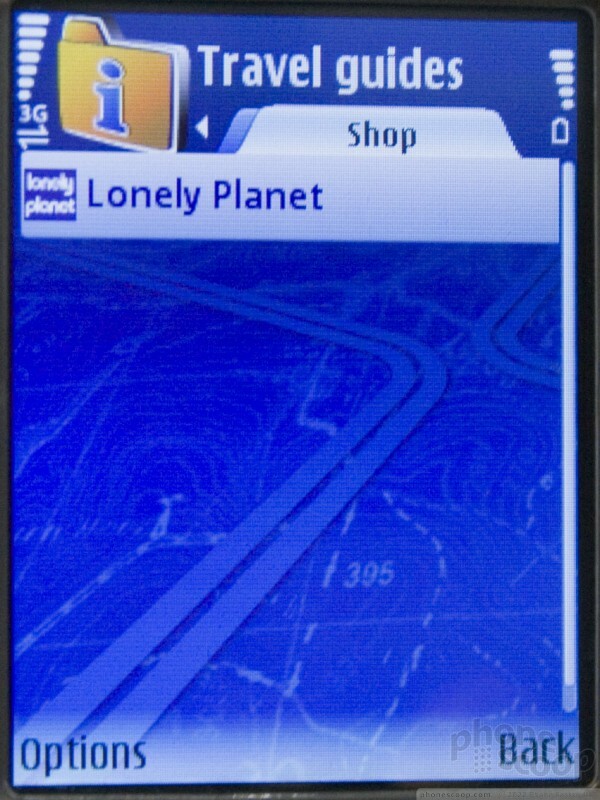 Navigator also features friend finder-like functionality. 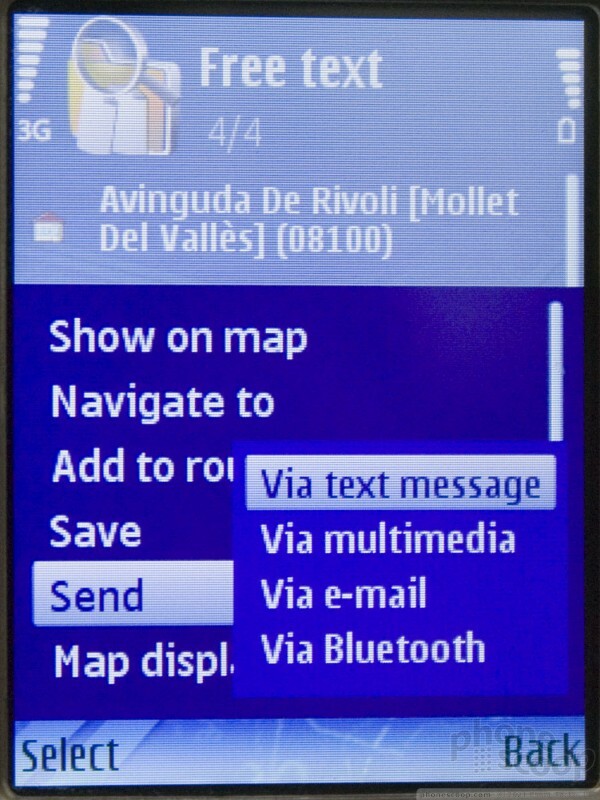 You can send your location from the application to any other Nokia Maps or Navigator user as an SMS. 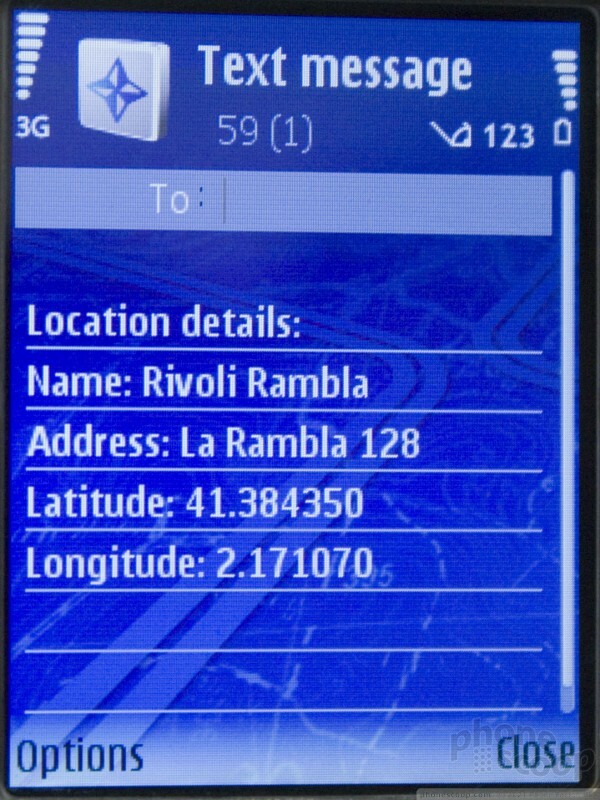 The receiver can then open that on their phone and get directions there from their current location. 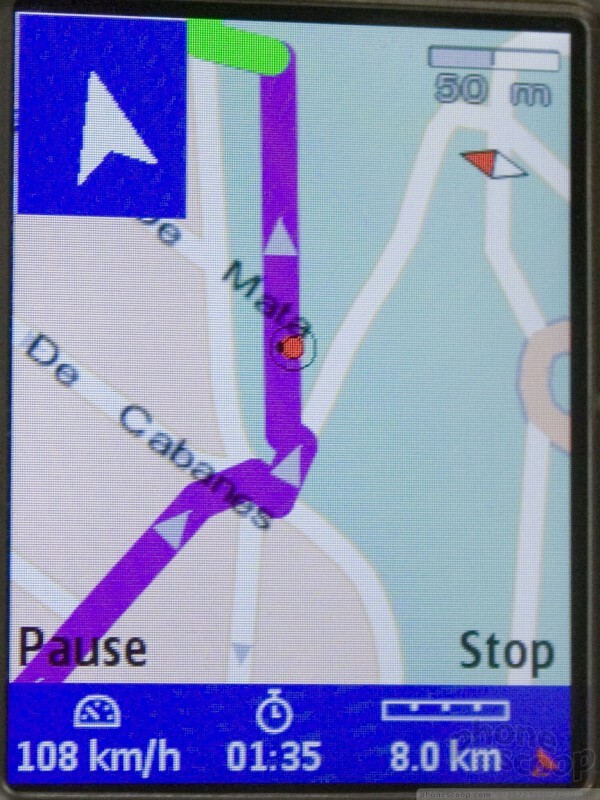 Nokia said that they will release a number of phones with GPS and similar software this year, and it seems possible - maybe even likely - that at least one will be for the US.